Pet Kiss Brighter Bite Natural Breath Freshener – PetKiss Inc. Your dog is pampered and well-groomed, but when he gives you that good night kiss on the cheek — yikes that breath has got to go! Don’t ignore your best friend — let Pet Kiss Brighter Bite Natural Breath Freshener come to the rescue! It’s made from an all-natural blend of parsley seed and sunflower oil to promote hours of fresh breath. 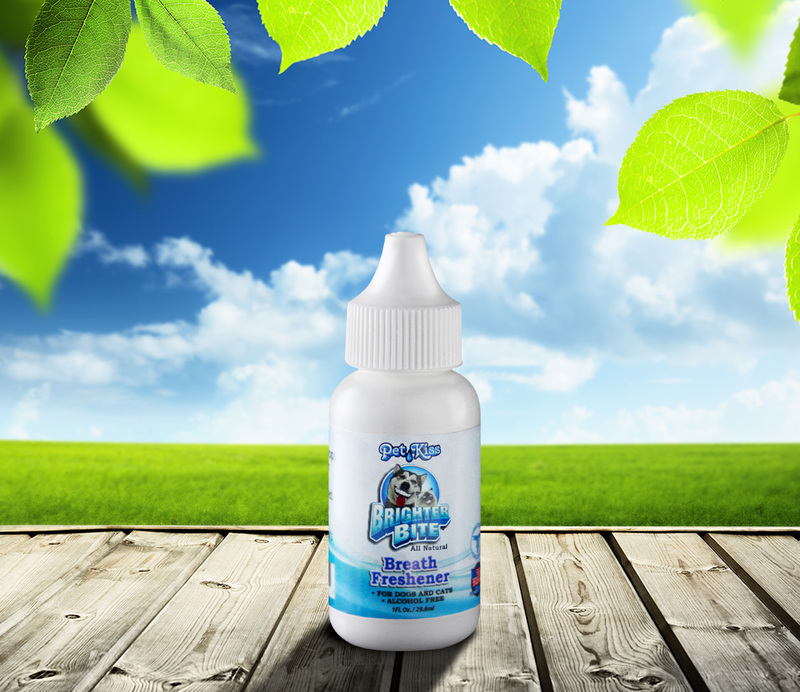 So say bye-bye to bad doggie breath and try our Pet Kiss Brighter Bite Natural Breath Freshener — the original, all-natural breath drop for dogs!